Every winter vacation can be really amazing if you just fall in the right place. And this is not just about the well-maintained ski runs (although this is very important too), but also about the presence of pleasant environment, beautiful nature and many opportunities for you to have fun outside the slopes! 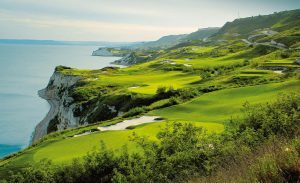 On the Internet there are numerous travel deals related to ski resorts and winter destinations. They are so many that it is completely enough for you to spend even an hour in the net to fell completely confused… If you are one of these people who are looking for help where to go for amazing ski holiday, welcome in our tourist blog where we publish lots of information about beautiful places and attractive holiday resorts! We are here to help you and guide you in case you can’t make a decision or are in doubt where to spend your family vacation. And so… Today we want to give you some tips about where you can go before the winter season to end, what to do when on vacation and what to expect when you arrive at the destination we have chosen for you today. Borovets is the topic of the day and every time we write about it with the greatest of pleasure and lots of enthusiasm! This wonderful, ski resort is the oldest one in Bulgaria (welcomes its first tourist in 1896) and also one of the most famous winter destinations in Europe. It is located in the stunning Rila Mountains and provides excellent conditions for skiing, snowboarding, sledding, many entertainments among the snow etc. 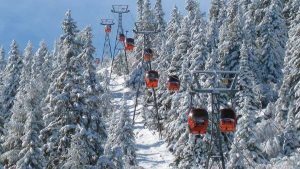 The lovely Borovets is also perfectly suited for families with their children and people who make their firsts steps in skiing (there is an excellent ski school where you can trust the professional trainers and to get several useful lessons). But in case you are not first-timer and skiing is your hobby, have in mind that in Borovets there are specially designed ski runs for intermediate and advanced! 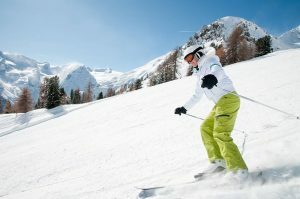 Thus, you will be able bravely to ride on the ski slopes without worrying about beginners who have just met this exciting sport! In Borovets there are 17 well-maintained ski runs where you can spend all day long while entertaining and enjoying the amazing environment around you. There also are modern lift systems, so that the access to each ski slope will be really easy for you! Borovets offers not only great snowy entertainments, but many other ways for recreation too… You can practice ecotourism, you can go to angle or hunting, as well as to enjoy hiking. And all these ways for relaxation are the perfect alternative in case you are not keen on skiing or on the other winter sports! 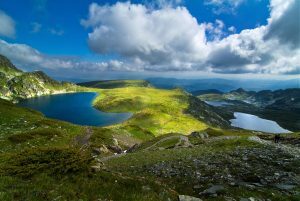 When in Borovets, you don’t have to miss the chance to visit one of the most beautiful sights of this area – the Seven Rila Lakes! You can found this gorgeous place 2500m above sea level, as its beauty will just strikes you… The Seven Rila Lakes are incredible group of lakes that are stepped located and connected to one another via small brooklets. Indeed, the view is simply amazing and you must see it! Make a short trip around the area of Borovets and visit the Rila Monastery – a magical place that will charm you with its amazing energy and picturesqueness… Buy some souvenir from the small shops around the Monastery and keep that memory forever – believe us, this place is just incredible and everybody who has ever been there dreams to get back there again! Rila is the highest mountain in Bulgaria and on the Balkan Peninsula as well. And its location, mild climate and plenty of magnificent sceneries make it for being perfect for long marches and walks. It is also very picturesque mountain and every fan of the beauty could spend endless hours while enjoying its nature and lovely ambience. Except this, you can also find many small cities and cozy villages that will amaze you with its incredible atmosphere you will have the feeling that the time there has stopped! Pay attention to the local people who are very different than the people from the big cities – they are very friendly, very kind and will even welcome you in their homes! Getting back to Borovets, we want to point out that this place is just great with its budget-friendly deals that will impress you in the very beginning… If you expect that there is expensive and think that you have to be well-to-do-man to go there, you are wrong! Borovets is a place that allows to everyone to spend a fulfilled and devoid of limitations vacation. And if have a tinny budget, or have to pay for a family of 5, Borovets is your place and your chance to have the best ski vacation ever! Night life in Borovets is truly incredible. And not only the modern bars will impress you, but the great restaurants too… So, if you love the good food, wish to feel the atmosphere of the Bulgarian restaurants or to bust a move on the dance floor in some disco, just do it! All the establishments in Borovets are very good, very cheap and offer quality food and alcohol. And together with that, the pleasant emotions you will experience just have no price! 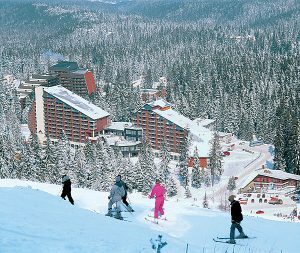 Hotels in Borovets are many and all they are very different… If you are looking for cheap accommodation, stay in some 3-star or 4-star hotel where except great deals, you will enjoy excellent conditions too. Every hotel offers to its quests varied tourist packages such as: SPA weekends, special travel deals for families, packages with breakfast and dinner, or just a bed… So, depending to your preferences and needs, you will be able to choose the best for you and your family! Sunny Beach resort – a favorite summer destination for millions of people! Experince the most exicitng summer vacation ever and visit Sunny Beach resort, Bulgaria!